I've really been into organic gardening for a few years now, but I've been only half-committed to any of my previous gardening projects. In the past few years, I've failed to do a good job watering the plants regularly, and as a result, my crop results have been equal to my efforts. As they say, you reap what you sow. This year, I've already doubled my efforts. I've built more raised beds, tended to the soil better before planting, and have checked on my plants every day... even though most of my seeds haven't even come through the dirt yet. The idea of self-reliance and being able to live off the land has become very important to me, partly because of the inspiration of my "I can survive in the wilderness" mother, and partly because I think it's just plain prudent. There's no reason why people shouldn't be able to feed themselves. On top of my plans to have an awesome garden this year, I've committed myself to learning about edible wild plants in my area. 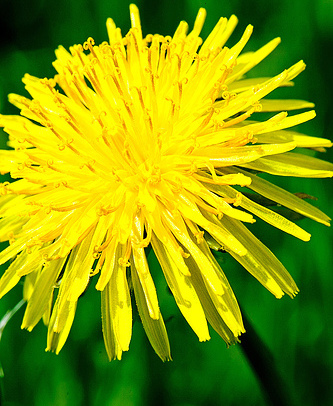 It turns out that you can eat dandelions, clovers, stinging-nettles (after you rinse and steam them), and all sorts of other things that grow wild where I live. I want to put together a database that lists everything you can eat while hiking through the woods or wandering around in your own back yard. So... I've added a WIKI to my site. In the side navigation under the "MY OTHER SITES" section, there's a link to the Wildfood WIKI. It's in its infancy right now, so there isn't a whole lot available yet. But with the contributions of other smart folks who know a thing or two about wild plants, hopefully it becomes a useful resource for people.